Bang, bang, the joke’s on you! France / 38 minutes / bw silent / Colisée Dir: Germaine Dulac Pr: Charles Delac, Marcel Vandal Scr: André Obey Story: La Souriante Madame Beudet (1920 play) by Denys Amiel and André Obey Cine: A. Merrin Cast: Germaine Dermoz, Madeleine Guitty, Grisier (i.e., Yvette Grisier), Jean d’Yd, Paoli (i.e., Raoul Paoli), Thirard (i.e., Armand Thirard), Arquillière (i.e., Alexandre Arquillière). The title’s ironic, because Madame Beudet doesn’t normally smile . . .
Somewhere in a small French provincial town, the artistic, sensitive Madame Beudet (Dermoz) is trapped in a loveless marriage to an obnoxious, philistine boor (Arquillière). Germaine Dermoz as Madame Beudet. Just to be nasty, before he leaves the house Beudet locks the lid of his wife’s piano. 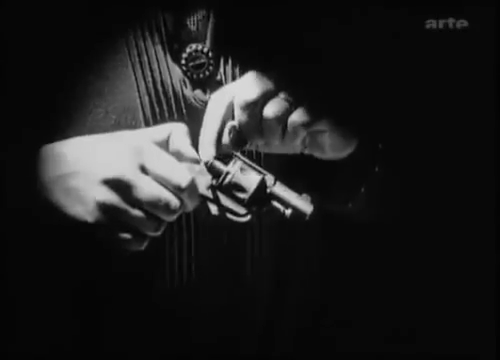 When defied by his wife, Beudet has a horrid little habit (one of many) of pulling out a pistol, pointing it at his head, threatening suicide and even pulling the trigger. Of course, the gun is empty, the bullets carefully kept in a different drawer of his desk. 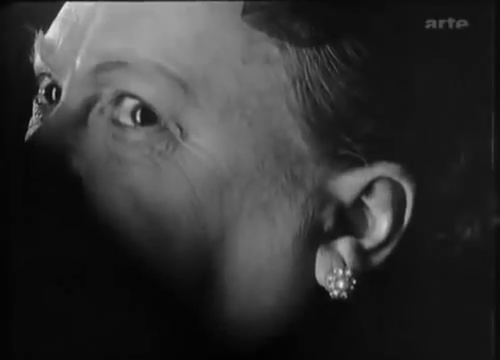 Driven to deepest despair by their latest row, while her spouse is ogling the actresses at the theater Madame Beudet surreptitiously puts live bullets into his pistol. Next time he tries to do his loathsome “suicide” trick . . . heh heh. The following morning she relents. However, circumstances conspire to ensure she can’t get to the gun and empty out the bullets. When he picks a fight with her over the housekeeping bills and pulls the pistol from its drawer, the stage is set for disaster. La Souriante Madame Beudet has been claimed as an important proto-feminist movie, but I think this may be overstating the case a bit: it can certainly be read as a feminist howl of justified rage that intelligent women like Madame Beudet are regarded as necessarily subservient to oafish morons like Beudet, but what’s lacking here is any purported solution to the situation—the end of the movie sees the status quo ante upheld. Madeleine Guitty as Madame Lebas. 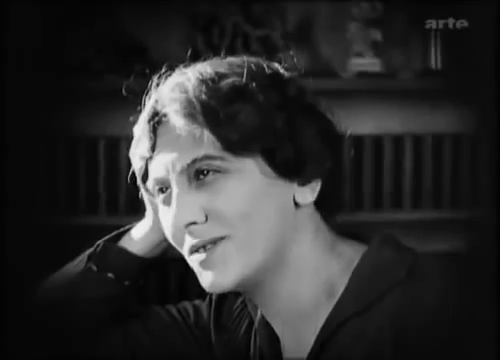 The movie’s credentials as a feminist statement might be seen as strengthened by the fact that its director was a woman, Germaine Dulac, whose three most important screen creations were arguably this, L’Invitation au Voyage (1927)—which I have plans to cover here in due course—and the far more surrealistic La Coquille et le Clergyman (1928). Among her other movies of note are La Fête Espagnole (1920) and the serial Ames de Fous (1918). Yet arguably we shouldn’t make too much of a fuss about the fact that Dulac was female—there were far more women directors around during the silents era than we tend to realize, especially in Europe. By the way, if you can persuade your library to get hold of it, Germaine Dulac: A Cinema of Sensations (2014) by Tami Williams would seem to be essential reading. 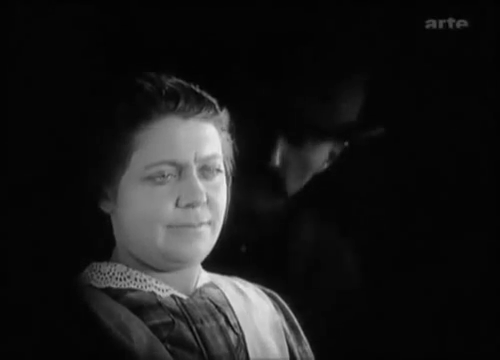 Yvette Grisier as the Beudets’ housemaid. 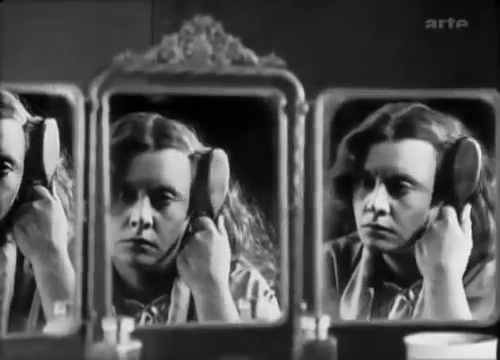 There are lots of bits of cleverness in the movie, and some of the cinematography is near-breathtaking in its seeming modernity—for example, the triple reflected image of Madame Beudet that we see as she brushes her hair at her dressing-table. 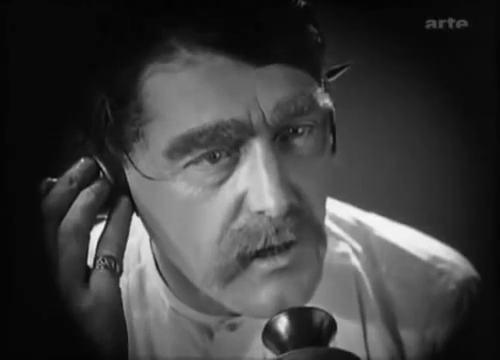 A couple of the quasi-visions that Madame Beudet has while she leafs through a pictorial magazine—– a natty sportscar streaks across the clouds, a studly tennis champ (Paoli) comes to claim her, or at least to take Beudet out of her life—are realized onscreen in a manner that reminded me of the Hitchcock/Dalí exercise in SPELLBOUND (1945). And symbolism abounds, as when Beudet, demonstrating in locker-room fashion to his pal Lebas how women should really be treated, manages to pull the head off one of his wife’s dolls; or in the incessant little undeclared war the Beudets wage against each other over the positioning of a vase of flowers. Feminist herald or not, La Souriante Madame Beudet is an entrancingly made movie, full of moments of beauty. There are copies all over YouTube, although you could do worse than watch the one at Wikimedia Commons. 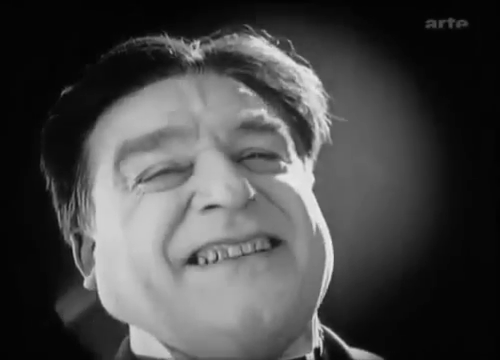 This entry was posted in France protonoir and tagged Alexandre Arquillière, Alfred Hitchcock, Ames de Fous (1918), André Obey, Armand Thirard, Denys Amiel, film noir, French protonoir, Germaine Dermoz, Germaine Dulac, Germaine Dulac: A Cinema of Sensations (2014), Jean d’Yd, La Coquille et le Clergyman (1928), La Fête Espagnole (1920), La Souriante Madame Beudet (1922), L’Invitation au Voyage (1927), Madeleine Guitty, Raoul Paoli, Salvador Dali, SPELLBOUND (1945), Tami Williams, The Smiling Madame Beudet (1922), Yvette Grisier. Bookmark the permalink. Thanks for the recommendation re: the Germaine Dulac bio. I know very little about her work and life, and it sounds like an excellent resource. Many thanks for the kind words, Ruth. Like yourself, I wish I knew about more about Dulac’s life and oeuvre. I hope the book proves useful, when you get to it.